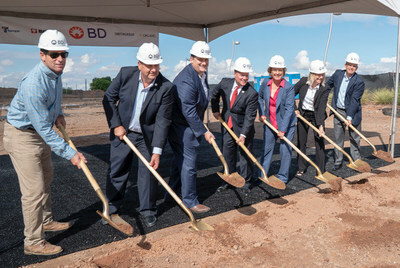 TEMPE, Ariz., Oct. 3, 2018 /PRNewswire/ -- Officials from BD (Becton, Dickinson and Company) (NYSE: BDX), a leading global medical technology company, were joined today by Gov. 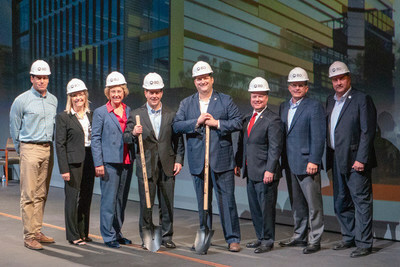 Doug Ducey, Tempe Mayor Mark Mitchell and representatives of The Boyer Company to officially break ground on the new I.D.E.A. (Innovation, Discovery, Education and Arts) Tempe campus. BD Peripheral Intervention will be the first business to move to the new campus that is focused on attracting new technology companies to Tempe. BD Peripheral Intervention develops and manufactures innovative endovascular devices that provide critical interventions to help improve blood circulation for patients with peripheral artery disease, end-stage kidney disease and cancer. "BD will be the first company to locate on the I.D.E.A. campus, and we are so proud to have BD and its employees grow in our community," said Tempe Mayor Mark Mitchell. "The I.D.E.A. Tempe campus is designed to create a place where the brightest people in science can create and collaborate together. The space also offers exposure to the arts and instant access to the finest outdoor urban recreation area this state has to offer." When completed, I.D.E.A. Tempe will encompass nearly 18 acres and will include more than 1 million sq. ft. of commercial buildings, including multiple office buildings, a hotel, restaurants, structured parking and additional art and classroom related space. "BD is a prime example of the type of company that thrives in Arizona's business climate," said Gov. Ducey. "High-tech companies, including medical technology companies like BD, will form the foundation of Arizona's 21st century economy that will continue to create highly rewarding careers for Arizonans, advance the way we do business and improve the way we live. The I.D.E.A. campus is perfectly aligned with these objectives." Steve Williamson, president of BD Peripheral Intervention said, "Our move to I.D.E.A. Tempe is symbolic for the future of BD Peripheral Intervention, because we are passionate about taking ideas and making them a reality to improve people's lives. The momentum being driven by Mayor Mitchell in Tempe and Gov. Ducey in Arizona will help move companies like BD forward, help grow the technology economy and help create new jobs in Tempe and across Arizona." Matt Jensen, a partner with The Boyer Company said, "The Boyer Company is proud to be working closely with the City of Tempe to develop the I.D.E.A. BD is the type of company we had hoped to attract to the site. We could not be happier with their commitment to the project. We are excited that the project is beginning to take shape and look forward to making additional announcements about the project in the future."